What is a governess ? ​A Governess is a professional child-minder who is responsible for educational and social upbringing of a child during primary school years. The main role of a governess is teaching the child good manners and principles of etiquette as well as taking responsibility for child’s academic performance. In terms of education, governess can help children with their homework in order to improve their performance at school, assist in learning foreign languages in the academic curriculum and teach additional ones. The governess focuses on children’s education and development by sharing her own experience and knowledge with them. Parents themselves can create their own educational program for their children and the governess would follow it. The governess is the one who predominantly takes part in stimulating and encouraging intellectual, social and emotional development of the children during the period called identity formation. 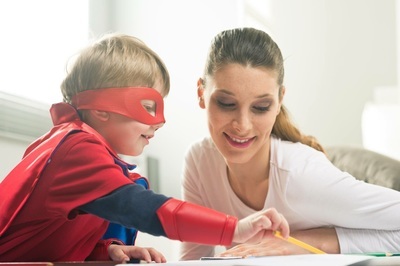 Most governesses registered with Morgan & Mallet Nannies have between 3-10 years’ experience working for private families, hold an early childhood diploma and First Aid certificate. Monolingual, bilingual or trilingual; mobile or non-mobile – our candidates are very diverse. We approach every request 100% individually and only introduce those candidates who meet all your needs and expectations. It is essential for our agency that the candidates are well trained and qualified for the position and the parents can be sure they leave their children in the care of a professional they can trust. What are the main duties and responsibilities of a governess ? Morgan & Mallet Nannies place and recruit governesses for both permanent and temporary positions, on full-time or part-time basis. Our consultants are always happy and available to answer all your questions. Looking for a Governess position?